Surgeons normally attempt this by slowing their pulse and timing movements between heart beats, but the robot could make it much easier. Experts said the robot could enable new, high-precision procedures that are beyond the abilities of the human hand. 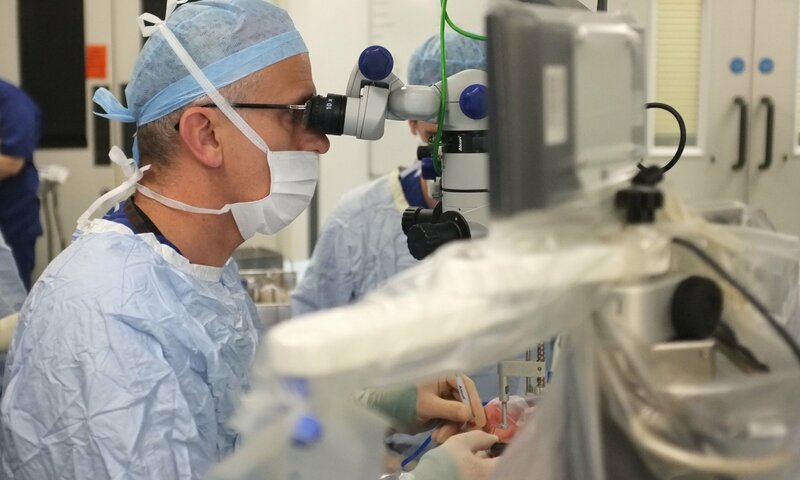 This is the first time a device has been available that achieves the three-dimensional precision required to operate inside the human eye.